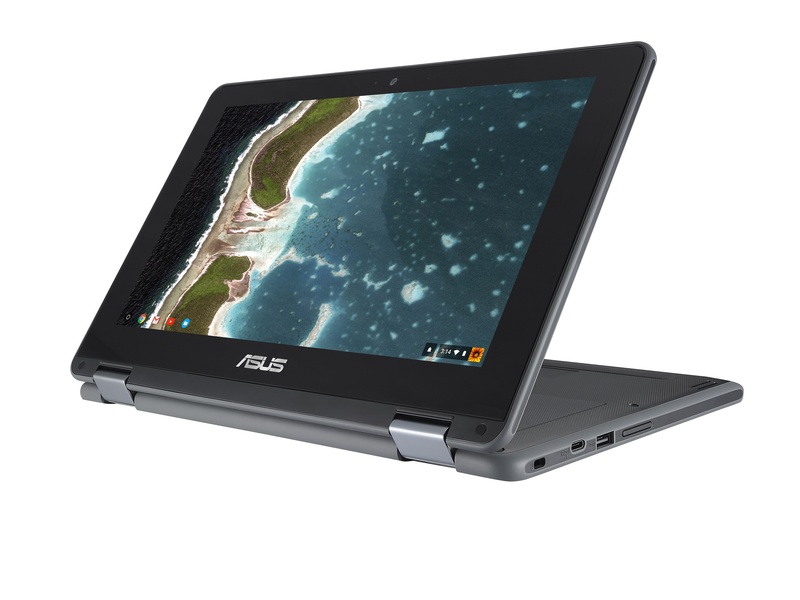 ASUS has announced today Chromebook Flip C213. 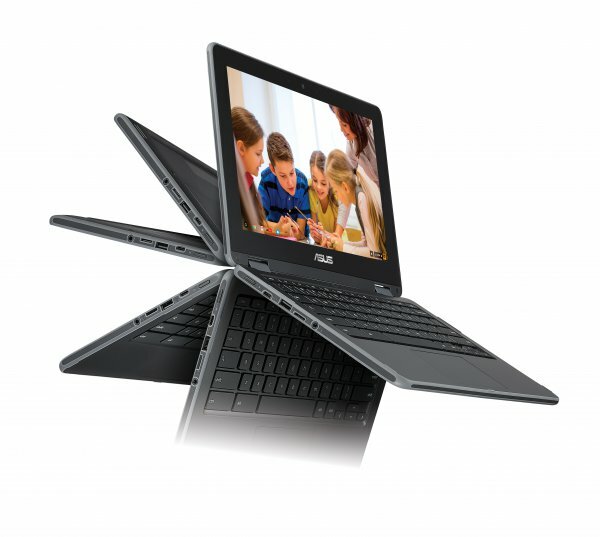 This is a rugged Chrome OS-powered laptop which is designed educational environments. It comes with Chrome OS and comprehensive range of Google apps and cloud services such as G Suite, Google Classroom and the Google Cloud Platform. Asus claims that this Chromebook has been rigorously tested to pass military-grade durability tests, ensuring that it can easily withstand the physical stresses of use in education environments. Tests include dropping the laptop from 1.2 meters and subjecting its all-metal 360°-degree hinge to 40,000 open-and-close cycles. Chromebook C213 features an 11.6-inch touchscreen display. Two versions of the display are available- One is protected with a covering of tough, scratch-resistant Corning Gorilla Glass, and it supports an optional stylus incorporating Wacom EMR technology for intuitive and natural painting, sketching and handwriting input. The other version features an anti-glare finish that ensures it is easy on the eyes when indoors and also easy to view in sunlight. The 360°-flippable display with its stepless any-position hinge makes ASUS Chromebook Flip C213 exceptionally versatile, offering multiple usage modes. These modes include laptop, tent, stand and tablet modes. It also features dual cameras: a 5MP rear camera for high-resolution photos and videos, and an HD front camera for video calls. With a 46Wh battery, it is rated to deliver more than 12 hours of continuous use. This Chromebook is designed for easy field servicing. Its modular construction enables the service staff to replace key components — including the keyboard, touchpad, battery, motherboard or display panel — in a few simple steps, using a minimum number of tools.